The AUA LL.M. Program is proud of scores of alumni who serve in public and private spheres, enhancing the lives and works both domestically and internationally. The sectors they serve vary from academia to finance, law practice and non-governmental organizations, human rights and business. 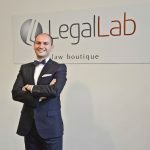 Below is just a short list of organizations where our alumni have found their workplaces and contribute daily to the improvement of laws and regulations, transactions and policies making those more efficient and current with the social and political developments, protecting the rights and making legal and institutional frameworks more expedient and sustainable. Two years at AUA made my life turn around 180 degrees. We were taught to think of distinctive footprints, avoid retrogressive thinking, imprison negative thoughts, make an impact, build a strong wall against negativity and think ahead of time. We were taught to take the chair and sit at the fore-front of our dreams. We didn’t learn just to get a diploma, there was no obligation, just a great will to reach an insight for the whole life. AUA gave me strength to never step back in my way, even when I lost my hope. Thank you for your input in my life. The desire for continuing education brought my path to the University of Berkeley. Life is just once so take the chance and study at AUA! It won’t be an exaggeration to say that my professional path has been shaped by the unique experience, knowledge and skills gained at the American University of Armenia. This is the harbor where I first studied the Western legal traditions and modern approaches towards building a constitutional democracy governed by rule of law and this is where I also mastered fundamentals of human rights and key aspects of general law. 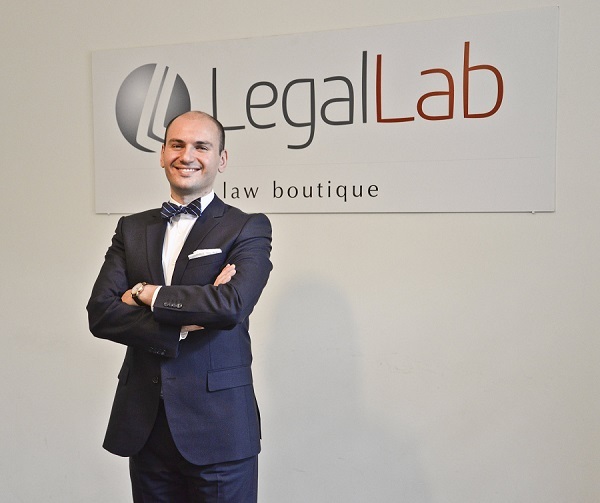 This precious experience through LLM program has completely reshaped my understanding of a legal profession – I started to bring from my knowledge the best I could offer for the benefit of a democratic and sustainable society. Studying at AUA has been a truly valuable and important experience for me. I am greatly thankful to my professors who always managed to balance between theory and practice. I have broadened my educational experience through the LLM program since it has been instrumental in developing my career and encouraging my pursuit of advanced studies abroad. These experiences are irreplaceable and I value this wonderful opportunity to be a part of a great AUA community. 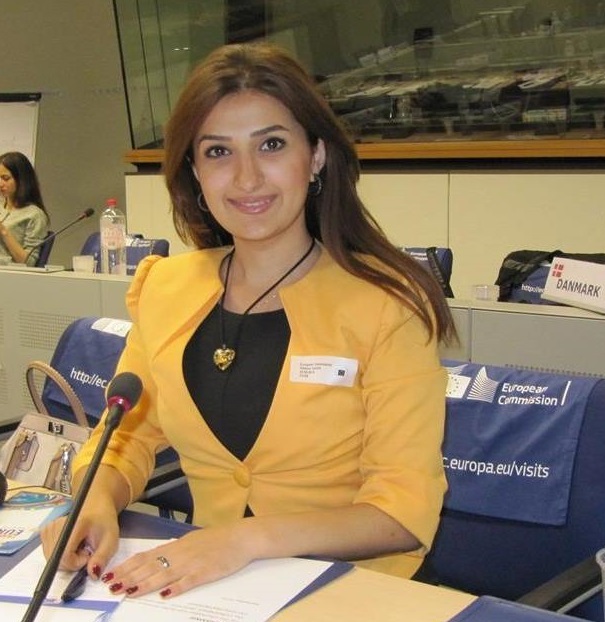 PhD student M. Kotanyan Institute of Economics of the National Academy of Sciences of Armenia. AUA granted this unique opportunity to enhance my academic journey. Through my involvement in the LLM program I gained brand new vision, new knowledge and new skills to approach and solve problems in a different way. Needless to say that AUA is a challenging experience – this is not to add to the burden of academic life – this is to state that AUA is a strategically designed platform committed to strengthening and promoting one’s career. Best class instructors, outstanding fellow students and valuable debates – this is just a small wording on AUA benefits – much more is over there, behind the LLM doors. It certainly has been a milestone not only in my career but also in my life. AUA Law teaches you how to think like a lawyer, talk like a lawyer, and write like a lawyer. Looking back at my past ten years of legal practice, I confirm that these skills are exactly what a professional needs to set himself apart from the competition. Almost anyone can cite the law or write a contract — it is those who can apply the law and negotiate the best contracts that have the edge. 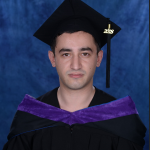 Being a valedictorian when graduating from LLM program in 2011, I feel that have ever since been more competitive in my profession due to my education at American University of Armenia. Currently I practice Notary Public and I must admit that it is through LLM that I have developed a more global vision on multiple legal issues. AUA has been crucial in terms of gaining numerous invaluable skills ranging from the ability to conduct comparative analysis of Armenian legislation with that of countries worldwide to advancing the linguistic skills – this list can safely be continued with a lot of ticks, though. I must say how grateful I am to the AUA and the LLM for the knowledge and for the assistance towards my career development. 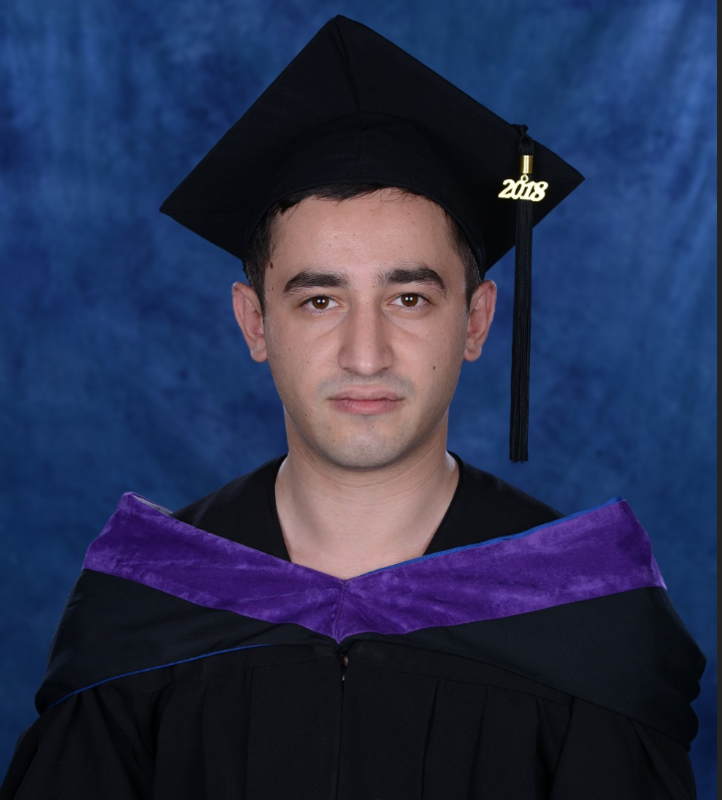 Two years of study in the American University of Armenia were a very memorable journey for me. This is the university which helped me to find my field of choice and sharpened my skills fuelling my love for research and helping me in my professional growth. Due to my enrollment in the LLM program I could later engage in research at Beijing and Tsinghua universities in China and afterwards join one of the local intellectual property law firms. Being part of the AUA family has been an exceptionally rewarding experience and I would strongly recommend this institution to those who look for an exciting and interesting way to make a big move. First – AUA strikes with completely new culture of teaching and new form of interpersonal relations. Should I distinguish something specific I will underline the format of learning and content delivery which stimulates discussion with fellow students and staff as well as the realm of warm atmosphere in the university. Second – The academic content in the LLM program has challenged and improved my understanding of different legal disciplines and has also enhanced my English skills. Third – I know no other institution which will be that much committed to maintaining strong liaison among the academic community, students and alumni. I hope I managed to briefly state those key points which make this University so precious to me. If I am to speak about American University of Armenia I will start with quoting Benjamin Franklin: “An investment in knowledge pays the best interest”. This is the truth befitting AUA. Needless to say that studying at AUA – one of the most prestigious universities in the whole region – opens up a world of multiple opportunities and new perspectives. In particular, having graduated the Law Department, I haven’t had lack of job offers ever after. One shall definitely grasp what the AUA has to offer in order to utter: “The results speak for themselves”. AUA LL.M. program has played a significant role in my life. The art of rhetoric speech, logical, critical and analytical thinking are key skills for each lawyer and AUA LL.M. program is where I received all these skills from. AUA LL.M. program has also planted a seed in my mind to always stream forward and to reach heights. I hereby confirm that these skills helped me to successfully finish the Armenian School of Advocates, take the Armenian Bar Exam and become a licensed attorney and member of the Armenian Chamber of Advocates and later start working as an associate attorney in an international law firm. I have been lucky to study with and learn from people with broad outlook and this came true through the full competence of the faculty and a full range of sophisticated resources. The latter is best illustrated by the AUA library – this great repository of knowledge is the best among those of all the Armenian universities. American University of Armenia is also truly unique in the whole region in terms of its academic approach: the focus on individual work and plenary discussions developing constructive and analytical thinking are major teaching dimensions. If one wants to learn to think independently, develop skills needed for future career, improve personal qualities and be competitive in the job market – then one shall definitely head to AUA. Looking back on my experiences now I can say that American University of Armenia was the right choice in an uncooperative reality, since AUA teaches you to translate your knowledge from theory to practice, in general, and master the application of laws and narrow rules to life challenges, in particular. Mine has been an education that goes beyond tests, beyond the diploma – apart from meeting truly dedicated group of professors and researchers, I got invaluable insights into how I shall serve my country and long-running professional character training because of my two-year relationship with AUA. 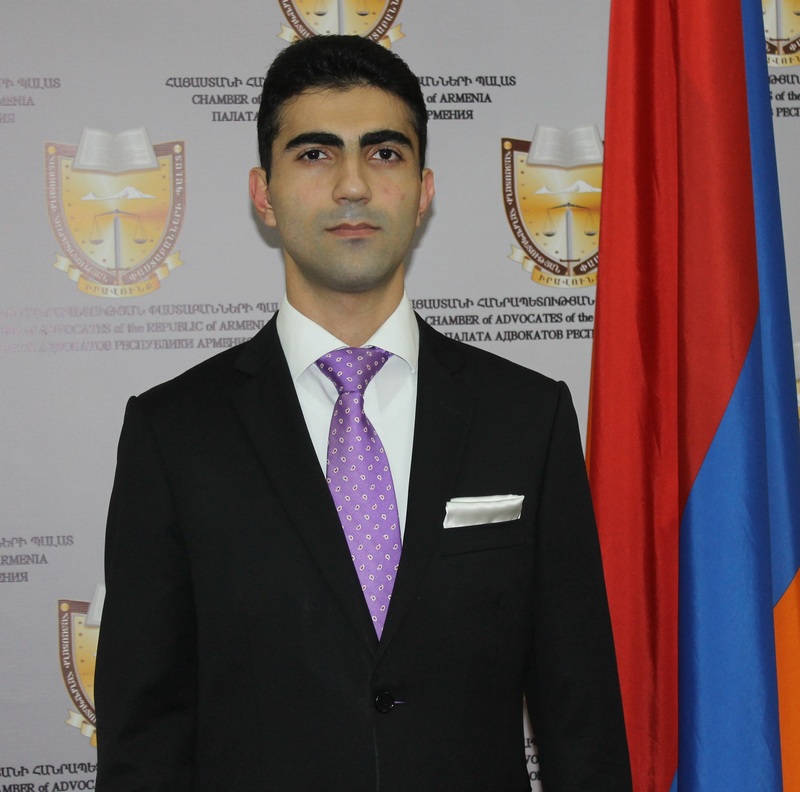 While American University of Armenia granted me the most rewarding experience throughout the two-year study, completely altering my world vision, LLM program enhanced my knowledge in International Law and Practices. Here I met an outstanding faculty which contributed a lot to my personal and professional growth inspiring to further and bigger achievements. Having regard to my deep interest in new technologies and building on my core education I chose Intellectual Property and Technologies Law as a priority in my further research workings. I feel blessed to have had the opportunity of becoming a part of AUA community for I gained incredible experience and, most importantly, cemented my commitment to success. American University of Armenia is located in Armenia yet this is the case when the location doesn’t matter since it is a GLOBAL university to me. I say global in sense that it broadened my outlook in my profession and stimulated to make my vision even broader through application and deepening of my knowledge across the borders of my country. It helped me to keep pace with the ever-changing nature of my work as a lawyer at IDeA Foundation and served as an excellent reference point in my further studies at the University of Cambridge. It had an overall really positive contribution to my personal development and professional growth.